Eskos bite work is fantastic!!! approximately 8 - 9 weeks of age. All puppies come with a health guarantee and contract. Vet health check at 8 weeks of age. 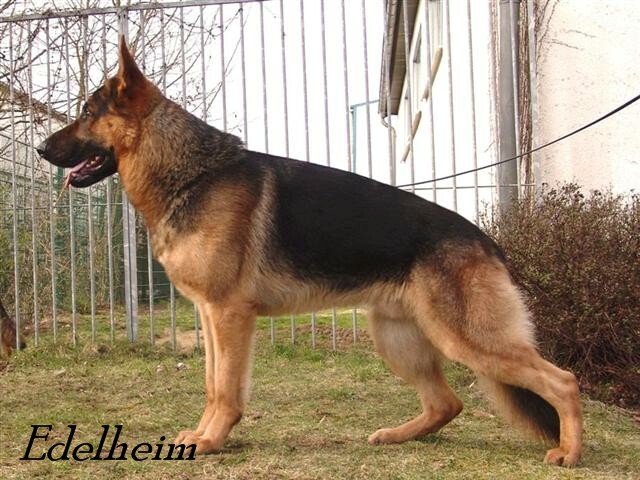 All Edelheim puppies will be named and registered with the AKC prior to purchase. The new owner may use any call name they wish but the puppy will come with a registered name. This must be done for identification (tattoo & microchip) reasons. include shipping charges, crate or delivery charges. All potential purchasers will be carefully screened to ensure our pups will be placed and raised in a safe caring environment. Edelheim Kennel reserves the right to refuse services and / or the purchase of our puppies/dogs to any person at any time. dogs/puppies sold as pets or dogs/puppies sold with a reduced price.